The feeling of discovery. It’s a pretty extraordinary feeling, isn’t it? One that, sadly, seems to get lost the older you get. But that’s one of the reasons videogames are so incredible. It seems with every new game I play I get to discover something I have never encountered in my life before. Each videogame opens my eyes to a world full of so many wonderful things I have never experienced -- be it a new style of graphics or a fully realized cast of memorable characters. No matter how old you are, videogames will always keep that sense of discovery fresh. 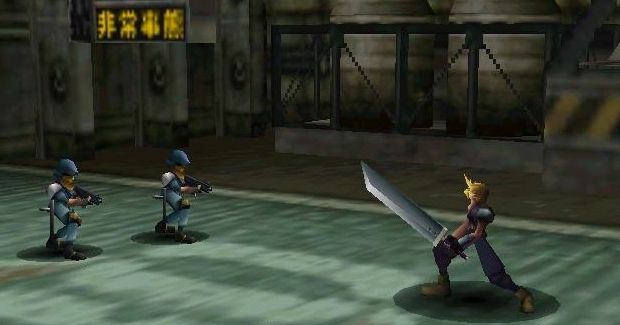 There is a unique moment of discovery in RPG classic Final Fantasy VII for the PlayStation that is a glorious, breathtaking example of what it would be like to experience something for the first time as if you were actually one of the characters in the game. While everyone around the world was talking about the death of you-know-who and how it changed the face of Final Fantasy VII, I was salivating over a small, almost throwaway moment that, to this day, still manages to impress me. Hit the jump to relive a surprising sequence that you most likely have never even thought twice about. 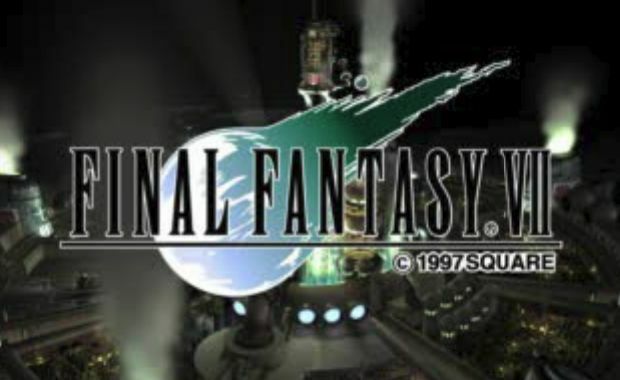 If you are reading this, you obviously know all about Final Fantasy VII -- it is one of the most influential and popular videogames ever created. And even if you fall in the “it’s overrated!” camp (and, trust me, I respect that stance), you have to admit that Final Fantasy VII is an epic experience that truly revolutionized the industry with its release. In the game, you play as main character Cloud, a confused, almost arrogant young man with a very mysterious, troubling past. 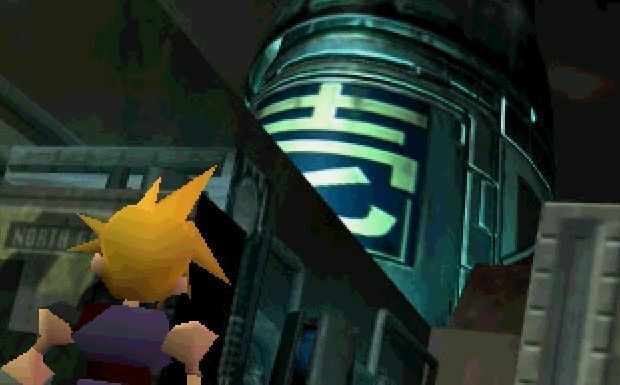 Early in the game you learn that Cloud used to be part of an organization called SOLDIER, a group of warriors trained by the mega-corporation Shinra. While in Shinra, Cloud befriended a super soldier by the name of Sephiroth. As most of you know, Sephiroth goes on to become pure evil, betraying everyone he ever knew, leading him to be the main antagonist of the game. After quitting SOLDIER because of the horrible tasks they are assigned to perform, Cloud joins a rebel group called AVALANCHE. AVALANCHE is run by main members Tifa and Barret and has one goal: to bring down the Shinra corporation and save the dying planet in the process. 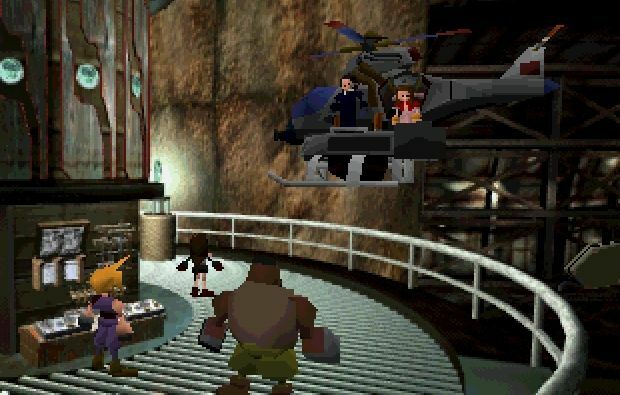 When the game opens, Cloud and Barret (and well as some additional loyal allies) infiltrate a giant mako reactor in the hopes of destroying it. You see, the mako reactors were built by Shinra with the sole purpose of draining the planet of its life source (mako) and using it as energy to research new technology and perform unheard of experiments. The main set of these mako reactors lies in the massive city of Midgar. Midgar is one of the most memorable and exquisitely designed settings used in any videogame. Basically, the city is an explosion of technology and modern design, built around the aforementioned reactors, with the rich, upper class citizens living on top of these huge metal plates, and the poor, normal citizens forced to live in slums beneath the city, never seeing the light from the sun. After successfully destroying one of the mako reactors of Midgar, Cloud is thrown from a high ledge and falls into a small church. Here, he meets a flower girl by the name of Aeris (she is called Aerith in the original Japanese version). With Aeris in tow, Cloud, Barret, and Tifa infiltrate the hideout of a notorious crime boss and learn that Shinra plans on blowing up a nearby support tower, thereby collapsing the giant metal plate above and demolishing an entire section of the slums, killing thousands of innocent citizens. Not coincidentally, the section being targeted is the headquarters of AVALANCHE and the home of many of Barret and Tifa’s loved ones. 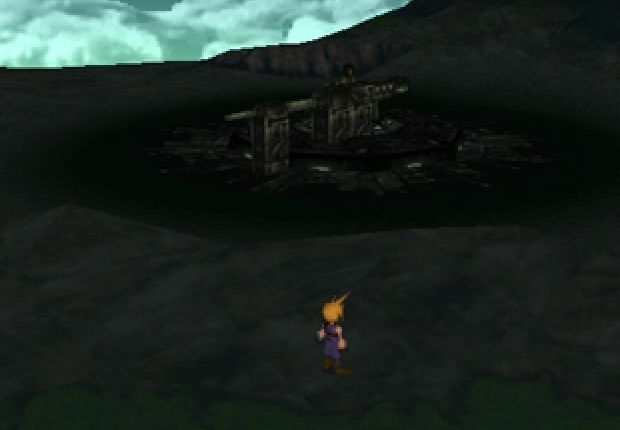 Determined to stop Shinra, Cloud and his allies make their way to the support tower. Sadly, after a tough battle, the tower is bombed and the plate overhead collapses, destroying a huge portion of the slums. 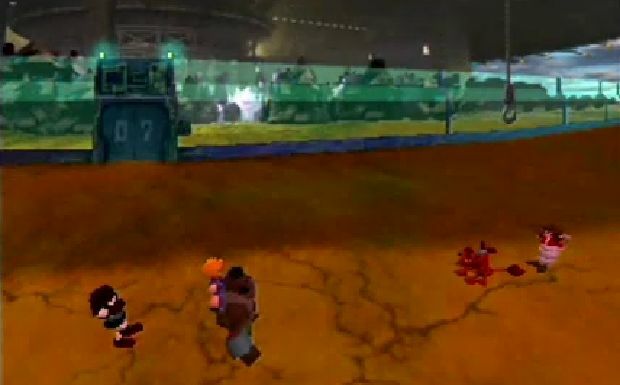 Cloud, Tifa, and Barret barely escape with their lives. 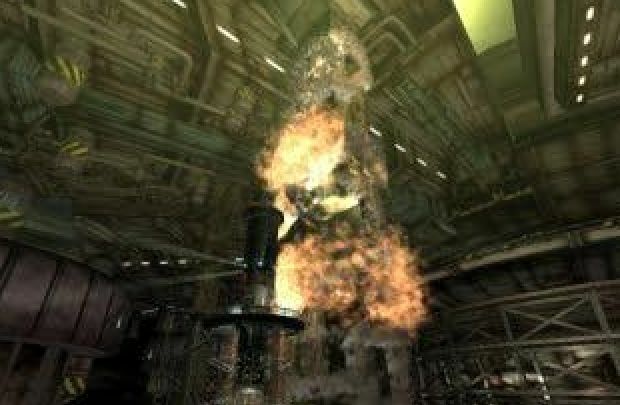 To make matters worse, Shinra captures Aeris during the attack on the tower and brings her to their headquarters. In an epic, extended sequence, Cloud and the others break into the Shinra headquarters, meet a new, animal friend that joins them, rescue Aeris, and eventually escape to safety down a crumbling highway by engaging in a breathtaking motorcycle/truck chase (whew!). After all of this, Cloud learns that Sephiroth -- once his ally in SOLDIER -- was behind everything: the attack on the slums; the kidnapping; even the destruction of the planet. With this shocking news, Cloud and the others decide to pursue Sephiroth and bring an end to his path of destruction. 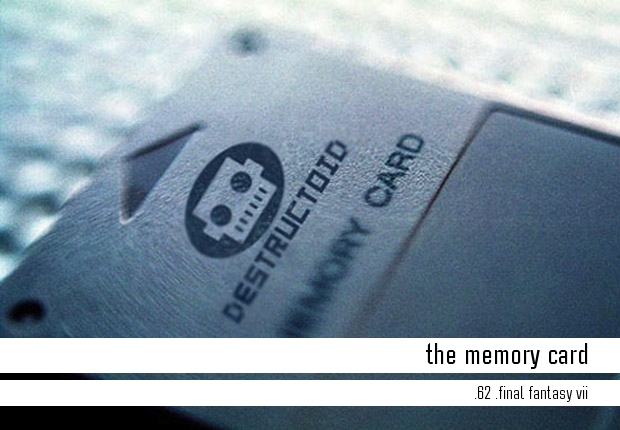 It is here when this week’s Memory Card moment occurs: Leaving Midgar. At this point in the game, almost ten hours have gone by on the in-game clock. 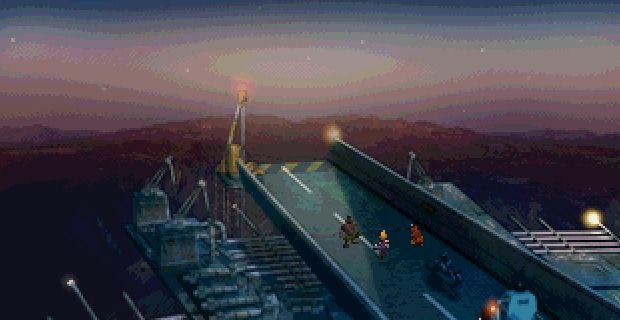 So far Cloud and Barret have broken into (and destroyed) a huge mako reactor, infiltrated the hideout of a crime leader, unsuccessfully tried to thwart a plan to destroy the headquarters of AVALANCHE, broken into the massive, heavily guarded Shinra building, rescued a friend, and participated in a high-speed motorcycle chase across a dilapidated highway. And this doesn’t even include the numerous amounts of detailed story points and sidequests that have also popped up along the way. It almost goes without saying that a lot has happened. Once Cloud and company decide to pursue Sephiroth, something amazing (and amazingly subtle) happens. Up until this part of the game, everything has taken place in the enormous city of Midgar. Every location -- from the mako reactor to the Shinra headquarters -- has been part of the same area. So, with this major decision, Cloud and his allies make their way to the edge of the slums. After sliding down a dangling wire hanging off the side of the highway, the group touches down on real soil for the first time in who-knows-how-many years. The light from the sun burns Cloud’s eyes as they adjust to finally seeing a bright, blue sky. After splitting into two groups, the party makes its way out into the world, nothing but the thought of finding Sephiroth on their minds. At this point the game switches from the ten hours of pre-rendered backgrounds to that of a traditional (albeit polygonal) Final Fantasy overworld. You know, the kind that shows the character, small on the screen, with cities and major landmarks displayed as almost generic symbols, not nearly shown to actual scale. As soon as this brand new, classic play style reveals itself, the overworld map pops up in the bottom right hand corner. 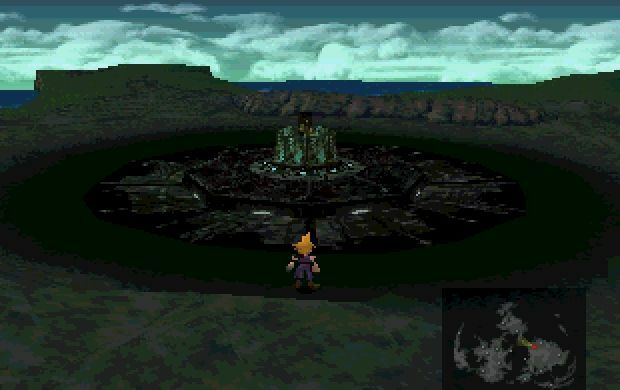 Here the player notices that Midgar -- an overwhelming, ten hour section of game filled with numerous locations and events -- is only a small blip on the screen. It is here when the game truly begins. With an urgent quest ahead of them, Cloud and his allies make their way into the vast world to save the very planet they are just now beginning to explore. I will never forget the first time I left Midgar in Final Fantasy VII. It was an incredible, surprising moment that, technically, I should have seen coming a mile away! Every single Final Fantasy game up to VII has an overworld map. It is just the way Final Fantasy games work. But Final Fantasy VII has the added advantage of being unlike anything most RPG players had ever seen before. Let’s start with the basic aesthetics: Final Fantasy VII uses pre-rendered backgrounds, polygonal sprites, and gorgeous CG cutscenes to tell its tale. None of this stuff had ever been used in a Final Fantasy game before. 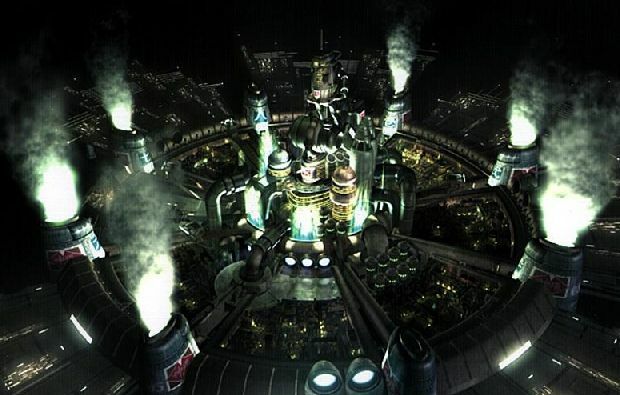 In addition, the story utilized a lot more “futuristic” settings than most Final Fantasy fans were used to -- mainly neon lights, huge modern buildings, motorcycles, and the sort. So when I was playing for the first time (for eight hours, mind you), I had just become used to this new, fancy Final Fantasy world. 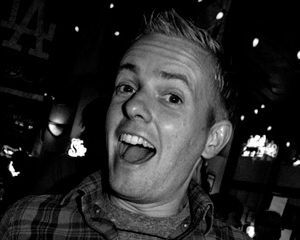 The game hadn’t shown signs of being a “normal” RPG yet, so why would anything change? Because of this I just assumed that the entirety of the game would take place in Midgar. Even if it did eventually leave the city, I genuinely thought all of Final Fantasy VII would be a series of more up close, pre-rendered settings. This comfort and familiarity the game establishes is the reason the reveal of the true overworld is so shocking. And, honestly, it’s not just the reveal of the bigger world that is so extraordinary. In fact, this tactic has been used in many games over the years. But when you take the grand reveal and combine it with the story, characters, and overall presentation, the result is absolutely revolutionary. Take something like Grand Theft Auto: San Andreas, for example. That game starts in a pretty big city, only to reveal a much larger world about 10-15 hours into the game. But the feeling of finally getting to branch out and explore this massive world doesn’t feel nearly the same. With Final Fantasy VII, the player becomes so attached to Cloud, Barret, and Tifa -- their life in the confined city of Midgar is your life. When they go on an adventure, you go on an adventure. In the game, Cloud and the party have accepted living in Midgar -- it is their home. Because of this, Midgar is your home. If Cloud and his allies have no future outside the city’s walls, you don’t either. Leaving Midgar never even crosses your mind! Getting the player to enter this mindset is pretty incredible. Also, in GTA: San Andreas, the vast world is always known to the main character. Even the map screen shows a world out there that can be explored. CJ (the protagonist in GTA) is not trapped in his starting city like Cloud is trapped in Midgar; you know he is destined to branch out just by the nature of what the game is. To this day, only one game has come close to duplicating this magnificent feeling of entering a huge, unexplored world. That game is The Legend of Zelda: Twilight Princess. But even then, after exploring the forests and temples around the opening village for more than ten hours, I still knew in my heart that Link was going to step out into a much larger Hyrule. Leaving Midgar is a unique moment and one that I don’t think will ever be duplicated in another videogame. Journeying through a deep, satisfying adventure for a significant amount of time, only to be presented with a much larger, glorious world to explore? It’s a pretty amazing design choice and presented perfectly within the world of Final Fantasy VII. I was shocked, to say the least, that such a huge game sat waiting outside the gates of the opening city. The opening city. I am still impressed so much happens before you take your first steps into the actual game world. When the overworld music came on for the first time, I was Cloud as he stepped outside the darkness of Midgar. I was Cloud as he felt the sun on his face for the first time in years. I was the one about to start the adventure of a lifetime.